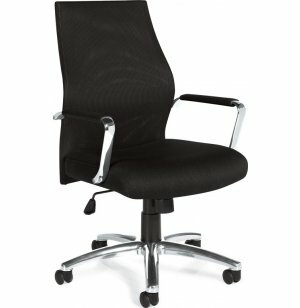 Discover a new dimension of comfort and style with the Mesh-Back Manager's Chair from Offices to Go. A host of ergonomic features combine with a great look to make this chair a real winner. The attractive back and seat are made of breathable mesh fabric, allowing airflow to reach just those areas that need it most. Excellent back support is provided by the contoured back, with the tilt-tension adjustment giving the comfort factor a real boost. 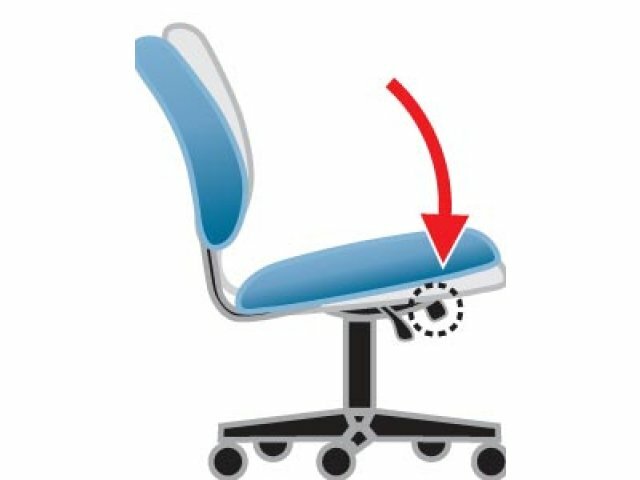 Pneumatic height adjustment allows you to find the perfect height for your desk, and helps prevent back pain by eliminating the need to bend over while reading or writing. 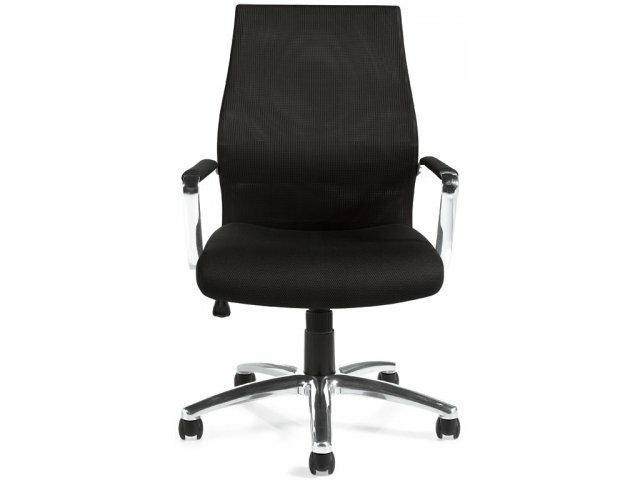 The Mesh-Back Manager's Chair looks terrific, too. Black mesh and polished aluminum create a sleek look that is highly professional without being intimidating. The polished chrome armrests are fully padded and removable. 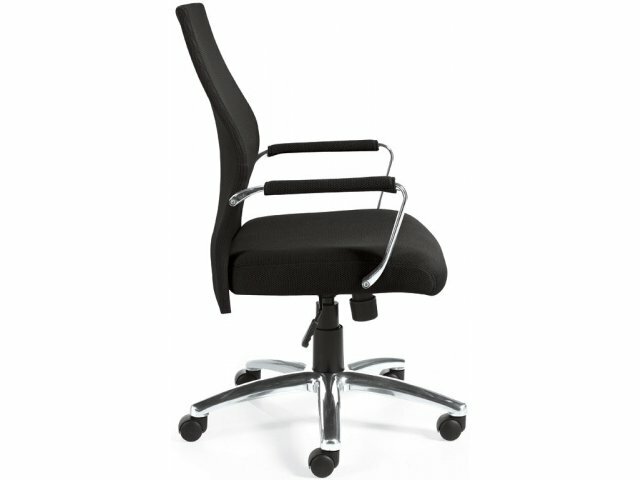 Ergonomic comfort, professional look, great price - the picture of success. Breathable Mesh: Unique mesh back and seat allow air to reach just those areas that need it most throughout the day. Stress Alleviation: Special construction alleviates back stress and helps prevent back pain. 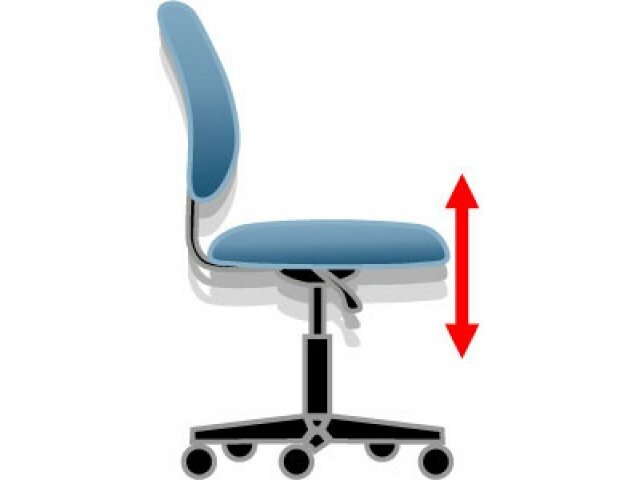 Ergonomic Comfort: Contoured back, height and tilt-tension adjustment allow you to adjust the chair for maximum comfort and support. 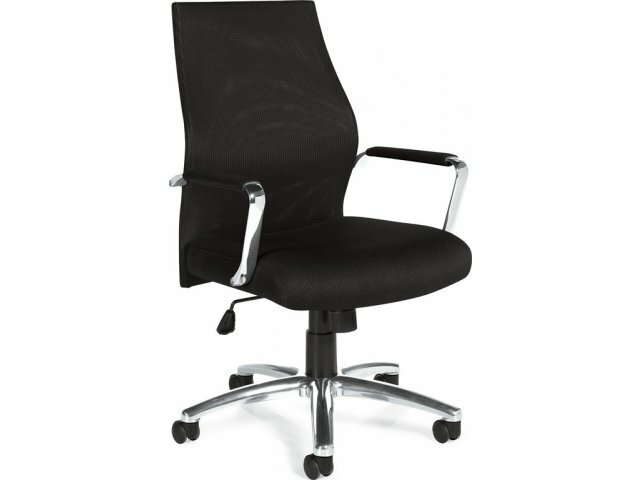 Professional Style: Combination of black mesh and polished aluminum give this manager's chair a sleek, professional look. Double-Duty Casters: Twin casters move smoothly on carpet and many hard-floor surfaces as well.